Veronica Helen (Kunz) Wieg, 100, went home to be with Jesus in heaven, on Monday, March 11, 2019 at Dove Healthcare-West in Eau Claire, WI. Veronica was born in Seattle, Washington on February 3, 1919, the daughter of the late Louis and Sidonia (Brost) Kunz. Veonica was an EauClaire Senior High school graduate, the class of 1936. Veronica was united in marriage to Clarence Wieg at Sacred Heart Catholic Church on May 10, 1939. Veronica worked at her brother’s store, Chucks Union Grocery for many years. Veronica loved needle work and won many Blue ribbons for her work. She was an amazing cook and told her family that if she reached 100 she would stop cooking. 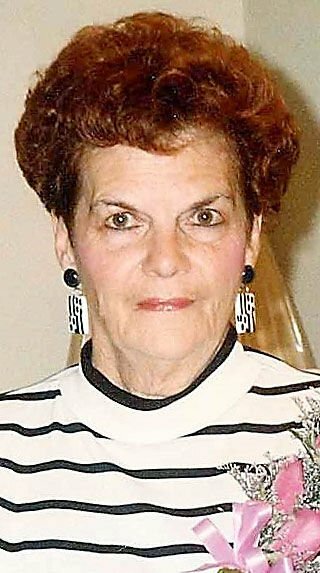 She had an wonderful sense of humor and loved spending time with her family at their lake place at Six Lakes near Chetek. She is survived by her children, Jim (June) Wieg of Fall Creek, WI, Marlene (Edward) Brown, Kathleen (Steve) Pedersen, and Veronica Falkner, all of Eau Claire,WI; 11 grandchildren; 23 great-grandchildren; 2 great great- grandchildren; a sister-in-law Jan Kunz; a niece Jane Shedoudy and other relatives and friends. Veronica is preceded in death by her husband Clarence of 65 years; a great-grandchild; a sister, Elaine Kunz; 2 brothers, Charles (Fossie) Kunz and Francis Kunz; a nephew John Shedoudy. Mass of Christian Burial will be at 12 p.m. Friday, March 15, 2019 at St. James the Greater Catholic Church in Eau Claire, with Fr. Tom Krieg officiating. Entombment will be in Resurrection Chapel at Calvary Cemetery in Eau Claire. Friends may visit 1 hour prior to service at church on the day.